Tremron Group is committed to respecting and protecting your privacy. In order to provide you with relevant information, respond to your requests, and increase the benefits you receive from our website, we sometimes request that you provide us with data about yourself. We have prepared this Privacy Notice to disclose and describe our information gathering and dissemination practices for this website. This Notice applies to all Tremron Group websites that display or link to this Privacy Notice. You should also note that Tremron Group maintains the same privacy practices with respect to data that is collected off-line and this Notice may be relied upon with respect to those methods of data collection and use. In general, you may visit this website without identifying yourself or revealing any personal information. 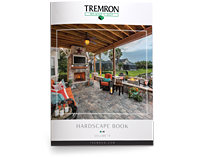 Tremron Group collects domain information from your visit to customize and improve your experience on our website. It is our intent to inform you before we collect personally identifiable information, and tell you what we intend to do with the information. You will have the option of not providing the information, in which case you may still be able to access other portions of this website, although you may not be able to access certain programs or services. In certain portions of this website, we also may enable you to "opt out" of certain uses of your information, or elect not to receive future communications or services. The information we collect about you or your computer will be used to operate our website and to provide customer support, respond to your requests or process any transactions you have authorized. It may also be used to verify your identity, send you information or contact you in relation to an Tremron Group product or service that you are using or that we believe may be of interest to you. In certain instances, we may make your information available to third parties with whom we have a relationship by which that third party is providing services on our behalf. We will only provide those third parties with information that is necessary for them to perform the services and we require that those third parties first agree in writing to maintain the confidentiality of the information provided to them and we prohibit them from using that information for any purpose other than to provide the services on our behalf. We may also disclose the information to our business partners, for marketing and other purposes which we believe may be beneficial to you. Tremron Group may disclose personally identifiable information that it collects on the website if required to do so by law or when necessary in order to protect the rights of Tremron Group or its employees. Tremron Group’s intent is to strictly protect the security of your personal information; honor your choice for its intended use; and carefully protect your data from loss, misuse, unauthorized access or disclosure, alteration, or destruction. We have put in place appropriate physical, electronic and managerial procedures to safeguard and secure information we collect online. This website contains links to other websites. Tremron Group is not responsible for the privacy practices or the content of such websites. Tremron Group may modify or update this privacy statement from time to time at any time without prior notice. We encourage you to check this policy often so that you can continue to be aware of how we are protecting your personally identifiable information. Your continued use of the website constitutes your consent to the contents of this privacy notice, as it may be modified from time to time.